After growing up in PMB, Nicky went to university in PE at NMMU and qualified as a biokinetist. After finishing her internship at the Sharks with Jimmy Wright, she stayed on there for 2 more years before starting up her private practice in PMB, and now is one of the 3 partners that started the multidisciplinary practice, Balance Sport and Wellness. Being surrounded with a sporting family, Nicky is involved more in the cycling, running and paddling world now days. As a mother of 2 girls, a partner to a busy trail builder and a running partner to 2 energetic dogs, life is always interesting. With weekends spent outdoors, Nix is never bored! From comrades to sani2c as well as over 18 fish river canoe marathons Nix understands what it takes to do most of our races. Her main passion lies with helping those get back to their passion in sport. With most of the rehabilitation based around functional movement and the use of one’s own body weight, the Biokinetic sessions are there to assess the injury and focus on correcting compensation patterns, reduce pain and increase strength to the injury. After growing up on a farm in New Hanover Christie completed her undergraduate at the University of Pretoria. She then moved to Durban to complete her Honours and Internship at Sharks Rugby under Jimmy Wright. In her internship year she also worked at the Prime Human Performance Institute with AmaZulu and the Dolphins. 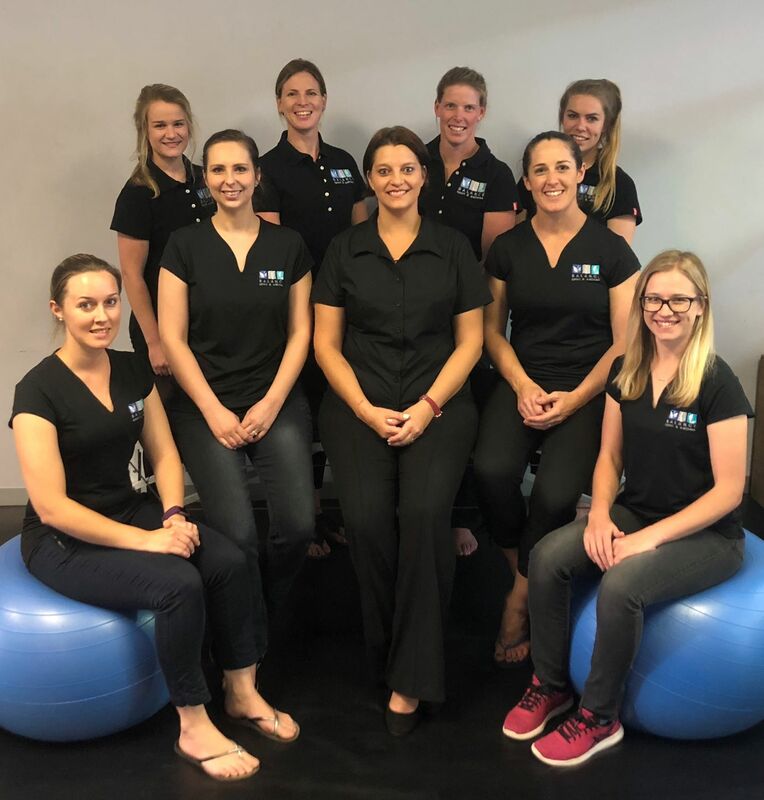 Christie is passionate about teaching people how to use movement to correct imbalances and treat pain with a special interest in sporting injuries and correcting developmental imbalances in children. 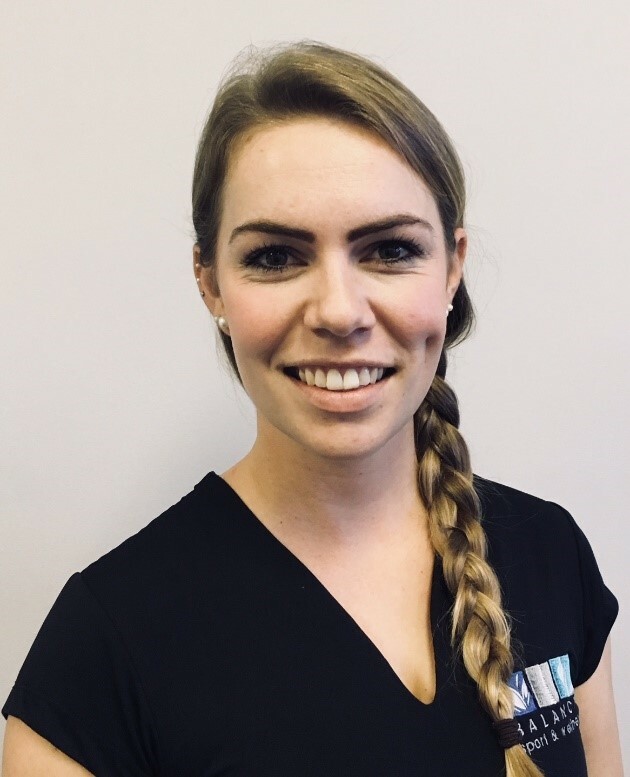 Dr Helen Schlebusch obtained her Masters Degree in Chiropractic , from the Durban University of Technology in Durban, following completing a thesis on muscle stretching, and then completing a period of community service in Kimberley hospital. Dr Helen has been in private practice in Pietermaritzburg since 2007, and working in a multidisciplinary setting since 2010. In 2016 Dr Helen joined in partnership with her colleagues to form Balance Sport & Wellness. Dr Helen has worked with patients across the board from elite sports men and women to scholars. 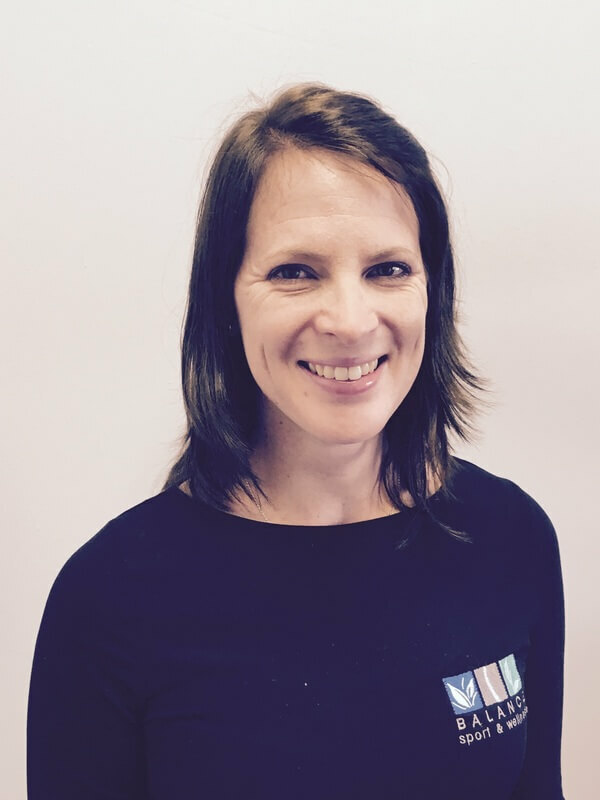 Helen feels that the multidisciplinary approach to patient care is vital, as the patient can be managed correctly for their pain / injury under one roof with all the therapists needed, working as a team to get the patient back to their optimum. Dr Helen, being a mom of 2 gorgeous children, loves treating babies and children, and she has special interests in treating Headaches and Sports injuries in all ages. Dr Helen believes that conservative care, health and wellness are definitely the building blocks to a healthier lifestyle. Dr Helen loves the outdoors and spending quality time with her family and those close to her. Caitlyn obtained her Masters Degree in Chiropractic in 2018 from the Durban University of Technology. During her studies she was awarded the Chiropractic Association of South Africa (CASA) Excellence Award in 2014. Caitlyn completed her thesis on ‘A comparison of the perceptions, use and barriers to evidence based practice by chiropractors and general practitioners in the eThekwini Municipality’. During her internship, Caitlyn was involved with many sporting events and so developed an interest in treating athletes and sporting injuries. Her passion is chiropractic and the promotion of a natural and holistic approach to healthcare. She enjoys educating her patients on how to take an active and proactive role in restoring their bodies’ optimal functionality, changing their lives for the better. Caitlyn enjoys spending her leisure time with friends and family, in the outdoors camping and hiking and hopes to travel more in the future. Returning to her home town and recently married, Caitlyn is excited to be joining the multidisciplinary family at Balance Sport and Wellness. Claudia is a Physiotherapist with special interests in Sports and Orthopaedic rehab, and more recently in Vestibular rehab (assessment and rehabilitation of the dizzy patient). She has a Masters degree with research in Shoulder pain in Wheelchair basketball players. Claudia has worked in a multitude of settings around the world and travelled extensively with local and international sportsmen and women in a number of different sporting codes; including Hockey, Wheelchair basketball, Shooting, Boxing, Rugby and Polo. Such events included the London Olympics in 2012; where she worked with India’s only Olympic gold medalist. As well as owning her own private practice in DBN, Claudia is one of the 3 partners that started the multidisciplinary practice, Balance Sport and Wellness. Claudia is recently married and has been blessed with 2 gorgeous stepdaughters. In her spare time, Claudia enjoys a wide variety of sports and has competed at local and international level over the years in many of these, including Basketball, Netball, Gymnastics, Kickboxing, Board Diving and more recently Ultimate Frisbee and road running. 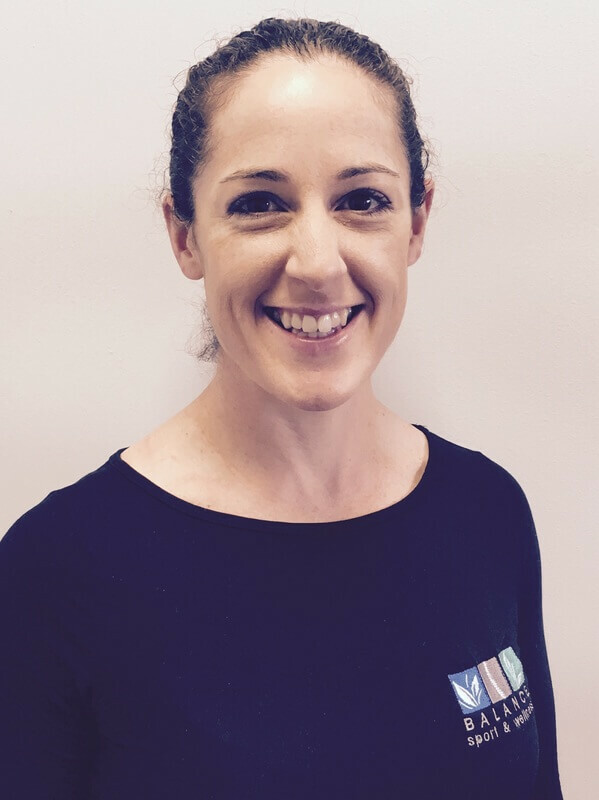 Claudia is a hands-on physio who loves to learn and to work closely with her clients to solve their injuries from the root cause with a fully integrative approach. After growing up in the Drakensberg Melody studied a Bachelor of Physiotherapy at UKZN and graduated in 2015. During her studies she worked with the collegians rugby team and was involved with many sporting events. Melody completed her community service year at Montebello Hospital, which allowed her to see a wide variety of conditions ranging from paediatric to orthopaedic and neurology. After graduating she returned to her home town and worked as a Private Physiotherapist in an outpatients practice as well as at the Kokstad Private Hospital. Melody enjoys a wide range of sports including hockey, running and polocrosse. This has grown her interest and thus focus in sports and musculoskeletal injuries. She is very excited to be a part of the Balance family and to be working in a multidiciplinary practice.